NI Holdings, Inc. (NODK) is a publicly held holding company focused on property and casualty insurance. Our success comes from the operations of Nodak Insurance Company and its affiliates. Our efforts are focused on automobile, farmowners, homeowners, crop insurance and small business risks. Our products are marketed through both the captive and independent agent channels located in North and South Dakota, Nebraska, Minnesota, Nevada, and Arizona. 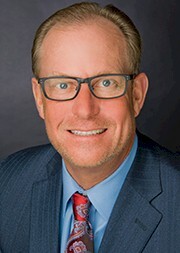 Nodak Mutual Group, Inc, which operates as a mutual holding company, owns approximately 55 percent of NI Holdings, Inc. with the remaining 45 percent being actively traded on NASDAQ under NODK. Founded as Nodak Mutual Insurance Company in 1946 to offer property and casualty insurance to members of the North Dakota Farm Bureau, Nodak Insurance Company writes multi-peril crop, crop hail, private passenger automobile, farmowners, homeowners, as well as commercial property and liability policies in North Dakota and nearby states. Nodak Insurance Company policies are distributed through over 70 exclusive insurance agents appointed by the company. Currently active in South Dakota, Minnesota, and North Dakota, American West is licensed to write insurance in eight states across the Midwest and Western regions of the United States. Products include policies for multi-peril crop, crop hail, farmowners, private passenger auto and homeowners insurance. American West currently has a network of independent agents located in approximately 104 offices, the majority of which are in South Dakota. Battle Creek issues auto, homeowners and farmowners policies, distributed through independent agents located in approximately 288 offices in Nebraska. Battle Creek joined the Nodak family in 2011. Primero writes only non-standard automobile insurance in Nevada, Arizona, North Dakota and South Dakota. The company was acquired by Nodak Insurance Company in 2014. Primero distributes its policies through approximately 612 independent agents. Mr. Alexander has more than 25 years of experience in the property and casualty industry and more than 10 years of experience as the chief executive officer of Nodak Insurance Company, making him a highly qualified director for NI Holdings. 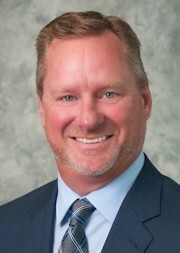 He joined Nodak Insurance Company as senior vice president of underwriting in August 2003. He was promoted to chief operating officer in November 2004. In July 2005, he was appointed executive vice president and chief executive officer. Prior to joining Nodak Insurance Company, he was director of underwriting and customer service at MSI Insurance Companies. A graduate of Earlham College with a Bachelor of Arts degree in mathematics, he also obtained a Master of Arts degree in actuarial science from Ball State University. Mr. Doom joined Nodak Insurance Company as vice president of finance and chief financial officer in December 2005. Mr. Doom began his insurance career at Iowa Mutual Insurance Company in 1977, serving in several managerial and officer level positions. During his last seven years at Iowa Mutual, Mr. Doom served as senior vice president and secretary/treasurer with responsibility for accounting, investments, information technology, reinsurance and rate analysis. He was also a member of the board of directors. In January 2005, Mr. Doom joined Farmers Union Mutual Insurance Company in North Dakota. There he served as controller and chief financial officer until joining Nodak Insurance Company. Mr. Doom graduated from the University of Iowa with a bachelor's degree in business administration. He has a Master of Science degree in insurance management from Boston University. 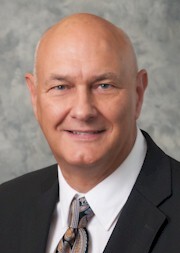 Mr. Duncan joined Nodak Insurance Company in December 2005 as vice president of shared services. He is responsible for both underwriting and claims processes. Mr. Duncan began his career with United Farm Family Mutual Insurance Company in 1989, where he held several management positions, including commercial underwriting, personal lines underwriting, property and casualty claims, as well as farm and crop insurance. In addition, he held the position of product manager for farm, crop and commercial, overseeing a $110 million book of business. Mr. Duncan earned a Bachelor of Science degree in actuarial sciences from Indiana University. Copyright 2019 NI HOLDINGS, INC.